There’s a possibility that at this late date I might still receive another year-end list or two (and I do expect that Andy Synn will deliver his list of favorite songs from last year), but we’re close enough to the end of our 2018 edition of LISTMANIA that I’m ready to provide this wrap-up. As in years past we posted an extensive series of lists. As usual, some of them were re-postings of lists that appeared at “big platform” web sites and print magazines, and others were prepared by our own stable of race-horse writers. But once again we had a large group of lists from invited band members and assorted other guests. Plus, we’ve again received valuable, extensive lists in reader comments on THIS POST (and new lists can still be added there). In this article I’m collecting links to all of the 2018 year-end lists that we published, divided into categories and listed within each category in the order of their appearance. For people who are looking for the best metal that 2018 had to offer, these lists and our readers’ lists provide a tremendous resource, as they have in past years. There are a couple of lists that have become highly anticipated each year which weren’t included in our series this year. Austin Lunn (Panopticon) wasn’t able to focus on his usual NCS list this year, but we expect that he will re-join us for the 2019 series. 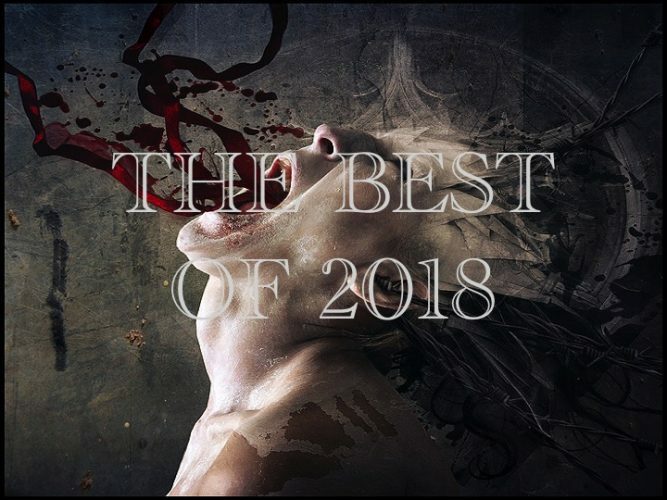 And Semjaza (Thy Darkened Shade) decided to write a different kind of in-depth series, but one that will include a lot of what he listened to the most during 2018, and we expect to bring your way in the first part of this year. Thanks again to everyone who contributed to 2018 LISTMANIA and to everyone who made time to read what we pulled together. P.S. If we posted your list and you don’t see it below, it’s because I forgot to tag it with “Listmania 2018” when I posted it. Just leave a comment below or e-mail me with the words “Are You Suffering From Early-Onset Dementia?” in the subject line, and I’ll fix the oversight. P.P.S. We have one kind of 2018 list that is still rolling on, day-by-day — my own list of the year’s Most Infectious Extreme Metal Songs. If you want another way to re-engage with the metal of 2018 and perhaps still make some new discoveries, hopefully you’ll find that a fun way to do it. So much great content. Not gonna lie though,I was looking forward to another Austin lunn list over anyone else’s. He always gives a great list. Many of us were disappointed, but he had good and understandable reasons, and I have high hopes he’ll be back with a 2019 list. The link for “Andy Synn (The Disappointing Albums)” is not working. I fixed that broken link, just in case you should change your mind….